If you want real results on LinkedIn or any other social network for that matter it requires engagement not just lurking! What that means is engaging in communication that is more than clicking the “thumbs up like button” under the comment box. If you want real results you have to talk to people. Seems obvious and yet I see this happen everyday! Your goal should be to build relationships with contacts that will generate leads and sales. If you have thoughts that LinkedIn is only best as an online resume for job seekers and recruiters, let LinkedIn for Business show you how to gain the competitive edge offered by this unparalleled social media platform. Sign up for one of my LinkedIn trainings and learn how to structure and optimize your LinkedIn profile so you achieve an ALL STAR status! If you want to gain exposure and credibility you need to be consistent with you status updates. Best strategy is to post information that shows your expertise and educates your network and not just self promoting your business services. Scan the news feed a couple of times a day and see what people in your network are posting, get engaged by reading the content and making an intelligent comment. This will illicit a reply from the poster and thus a conversation is born! Clicking the “Like” does not get a conversation going so be strategic with whom you want to build a relationship with. You can segment what and who you follow in the news feed by your connections, people who share, groups, profiles, news, companies, jobs and updates. Focus on these specifics depending on your marketing goals. 4. Check out the “Pulse” under the interests TAB on your tool bar. LinkedIn Pulse sources news stories and organizes it for you like an online newspaper. You can access it from the Menu under “Interests” and you can also download the Pulse app for iPad and iPhone. You can comment on the stories and engage with others doing the same. 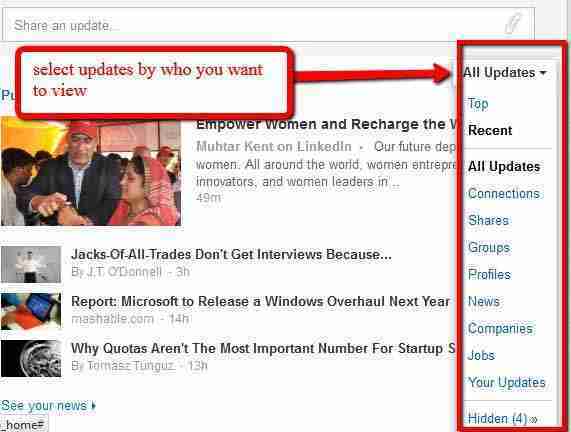 You can share articles with your network as a status update and letting your network know why you found value in the article. You receive a notification in your email with your endorsements. This is an opportunity for you to email these people and thank them for taking the time to endorse your skills. The result is this is another way to stay top of mind with your contacts. This is the most obvious of the tips, don’t just click “accept” and leave it at that. When you accept an invitation from someone to join your network be sure to send an email reply ask them questions, find something in common, ask how you might provide a good referral. These ideas will help you engage in a conversation to learn more about your contacts and how you might help each other grow. You will be excited to learn the real truth as to how healthy your lead generation strategy on LinkedIn is. 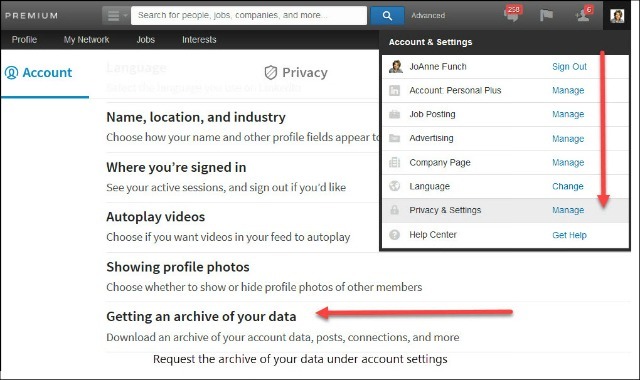 A strong, sequential approach to incorporating LinkedIn status updates will inspire confidence in you and your employees to create and post more content on LinkedIn. I specialize in creating a business LinkedIn strategy and marketing programs for small and medium businesses. You can benefit by learning what your business should post to optimize chances of getting shared more often. Don’t worry so much about your business size and brand foot print right now – let’s take a high level industry approach. By engaging more on LinkedIn, this great opportunity for your business will go from uncharted territory to maximizing your expertise and stepping ahead of your competition. After reading this article on 6 Steps to Engaging Users on LinkedIn, call me if you would like to schedule me for your next event. Show your attendees how to win leads on LinkedIn.